Survox Dialer Upgrade - Survox Inc.
Now’s the Time to Switch to an Efficient VOIP/SIP Dialing Solution! Our Dialer Initialization Services do all the customization needed for each dialer and then assures that it is properly configured, tested and operational.  Put the Survox Dialer to work for you today. Start now by contacting us! Survox provides us with an excellent platform to undertake continuous global phone surveys. Hundreds of interviewers log on to our system from different countries and Survox allows them to perform excellent and high-quality work.